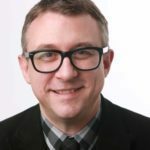 As Inman's Chief Product & Marketing Officer, Matthew oversees all growth, user experience, product, off-platform, brand development and marketing initiatives at Inman. A long-time supporter of Inman's journalism and events, Matthew works closely with the editorial team to shape and enhance the reader experience, and with the events team to ensure attendees have the most helpful, insightful, and actionable time possible with us. Prior to joining Inman, Matthew was Director of Real Estate Products at The New York Times. A passionate advocate of the real estate industry, Matthew also spent 9 years in the brokerage community heading up digital product and marketing initiatives for New York's Corcoran Group.